The Firebird III was by far the most intriguing and influential of the Motorama Firebirds. 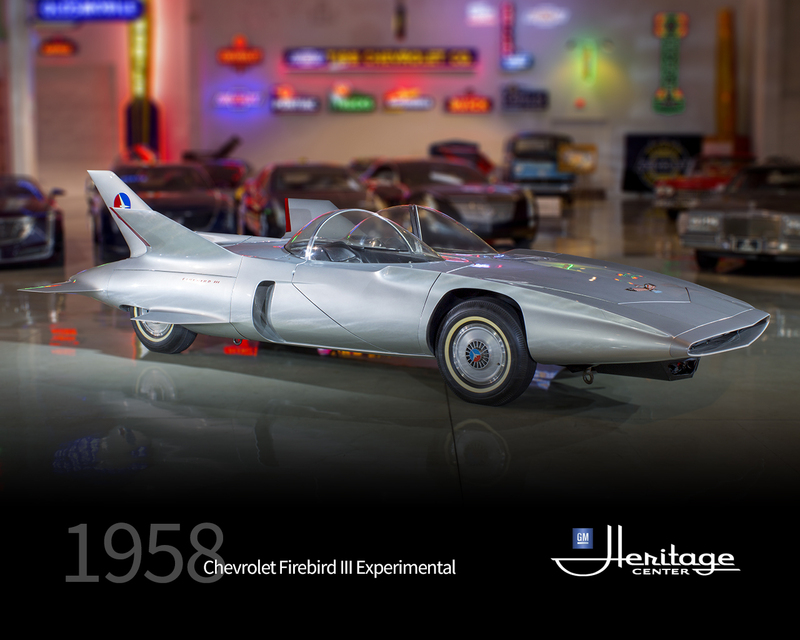 Built in 1958, it was the only member of the Firebird trio to have any direct impact on the design of General Motors production vehicles. The 1959 Cadillac featured some of the Firebird III's surface development and its severe rocker panel tuck-under. The 1961 Caddy picked up the Firebird's rear skegs - those stubby little fins that hung down off the bottoms of the rear fenders. The Firebird III broke a number of legendary GM designer Harley Earl's styling rules and that's one of the reasons it became such an important design. It had very little chrome and no parallel lines. The vehicle also put the ultimate twist on tailfins. GM entertained plans for a Firebird IV that went as far as a full-sized wooden frame, but the program's greatest legacy was to give its name to the Pontiac pony cars starting in 1967.